I look at the growing trend of automated journalism, based on taking machine readable data and translating it into text form. This is ideal for sports or finance news. Last year I looked at the growing trend for automated journalism, with a number of tools being used to create everything from stock reports to weather updates. A recent paper from the Tow Center for Digital Journalism set out to explore the issue in more depth. As I mentioned in my own analysis, the current application of the technology is largely taking machine readable data and translating that into text form. So things like sports reporting or financial updates are ideal for automation. I’ve written previously about studies exploring how readers perceive automated stories. Interestingly, our preference for automation seemed to differ depending on the topic of the article. Readers preferred the robot when the article was about finance, but the human when the topic was healthcare. At the moment, machine generated text is fairly short with a large dollop of quantitative data, but there are signs that things are getting much better. I’ve written previously for instance about the ability for machines to understand human like constructs, such as stories, sarcasm, humor and even empathy. There has also been the development of tools such as WriteLab, which aims to provide automated feedback on human generated text of whatever form. Suffice to say, there is still a lot of progress to be made before this enters the mainstream. The Tow report highlights a number of high profile mistakes made by automated systems, but it’s perfectly feasible for these mistakes to be overcome and the error rate has been reduced significantly, and certainly to a level comparable with that of human editors. And that’s an important factor to remember, for we often hold automated systems to much higher standards than we do humans. Driverless cars for instance, are expected to operate with no errors, despite hundreds of deaths occurring on our roads each day as a result of driver error. 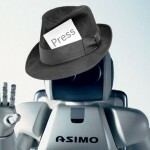 It’s unlikely that journalism will be completely automated any time soon, as even the stories that are automated still require strong data behind them in order to make sense. The Tow report suggests that a more likely future is that automation will take over some jobs from humans, leaving more time to research and investigate stories. There may even be instances where the computer produces a first attempt, and the human then edits accordingly. For instance, after a football match has finished, the computer can rapidly produce a report that’s then checked over by a human before going live. With service such as Write Lab providing strong editorial features already however, this relatively low-level sense making is also something that is likely to be automated before too long. If this forces journalists to up their game and produce higher quality pieces then everyone should win, but it seems inevitable that there will be casualties along the way.